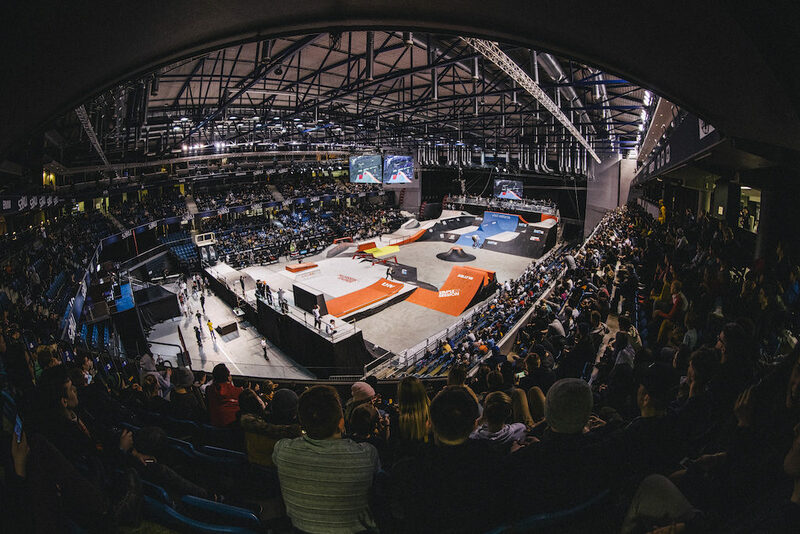 February 2 – 3 at the Saku Arena in Tallinn, Estonia. 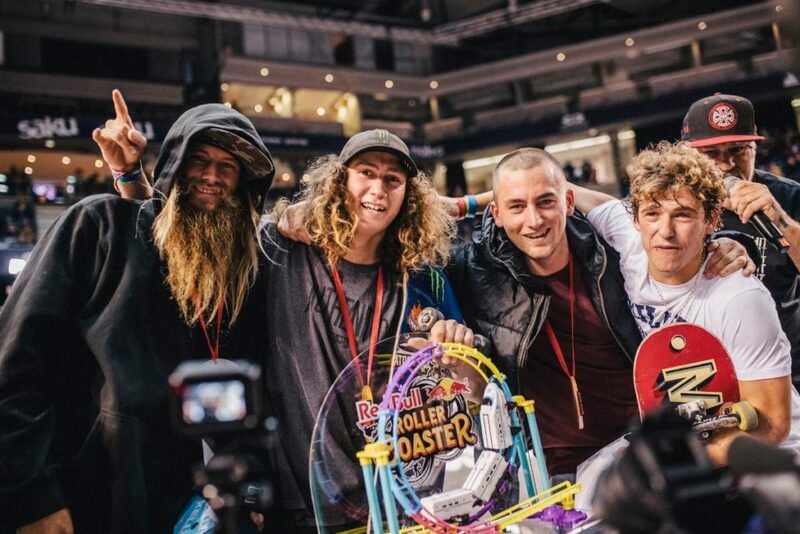 In skateboarding, Liam Pace USA (Monster) took home the gold, Greyson Fletcher USA (Element) the silver, and Joseph Garbaccio FRA (Jart) the bronze. 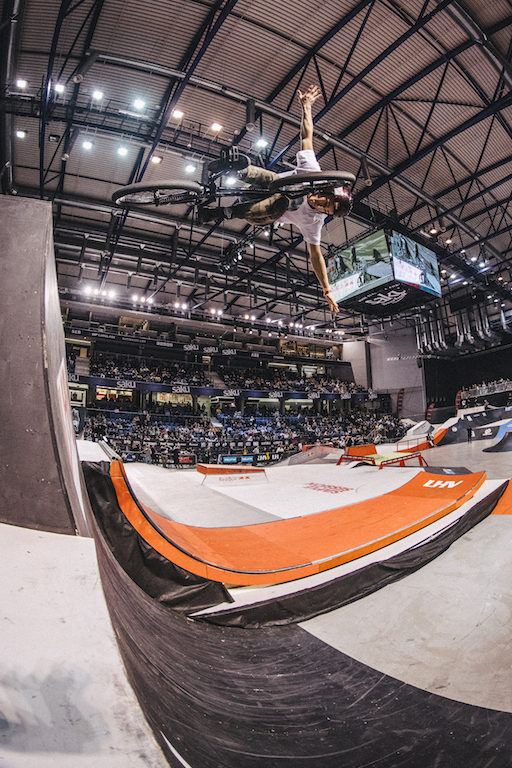 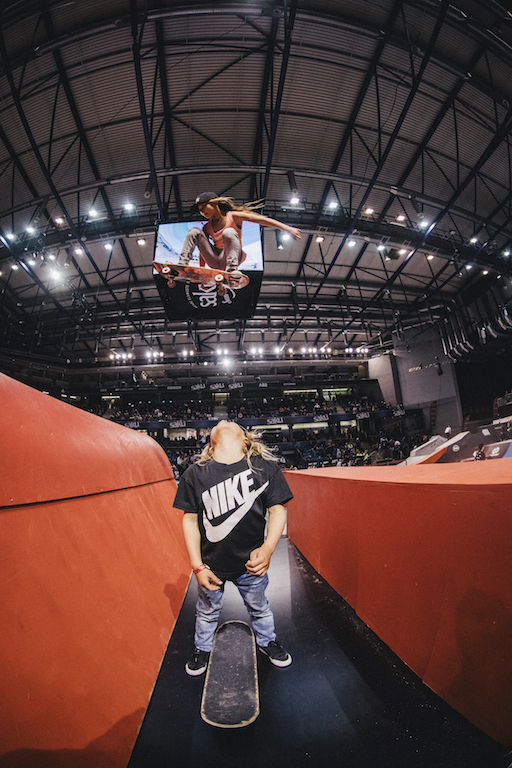 “Sky Brown made good use of the whole course, flying around and doing flip-tricks. 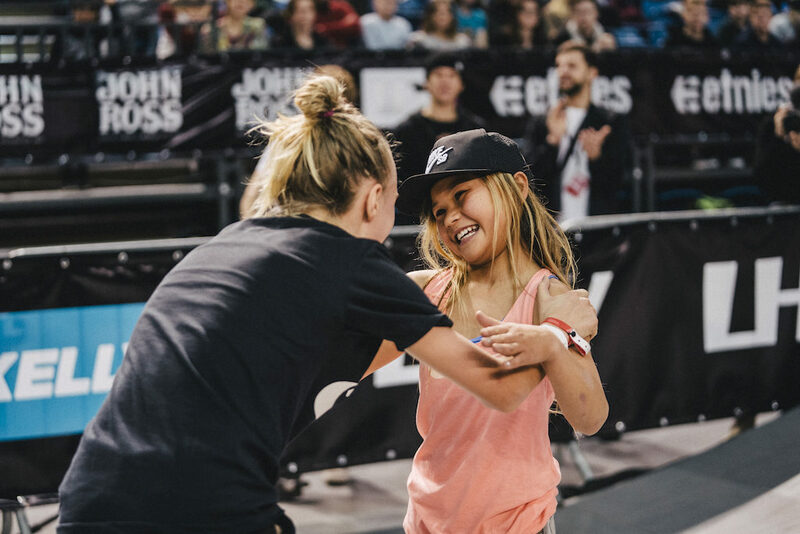 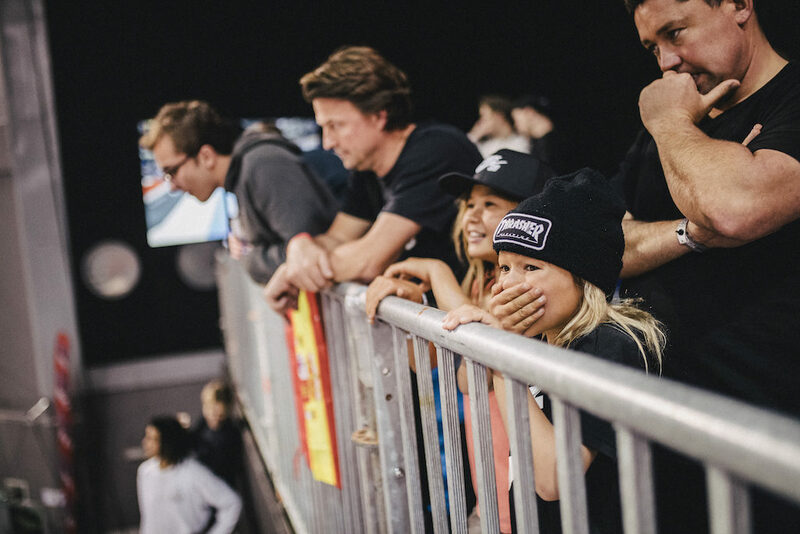 She was amazing and deserved to win,” said skateboarding MC Dave Duncan and continued to comment on skate winner Liam Pace.”Everywhere he goes he has these speed-lines. 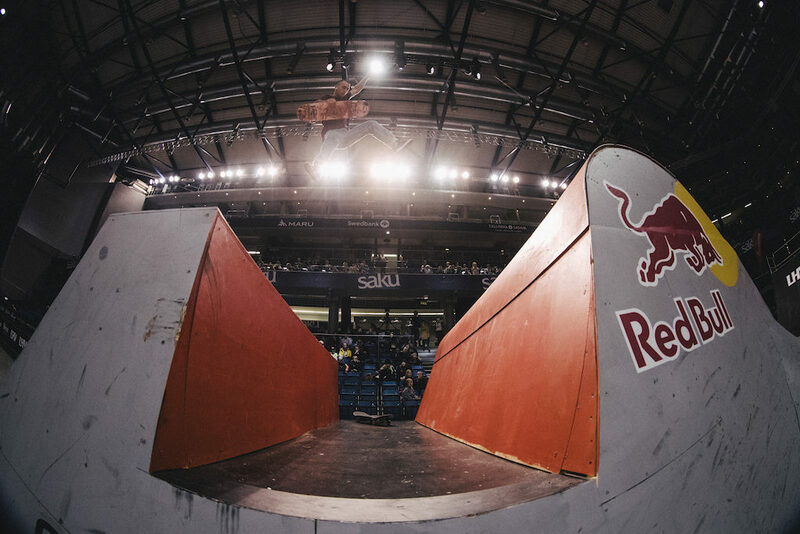 As soon as he got here he did the box jump into this big eggplant on the big steep wall – no-one else was going upside-down this high. 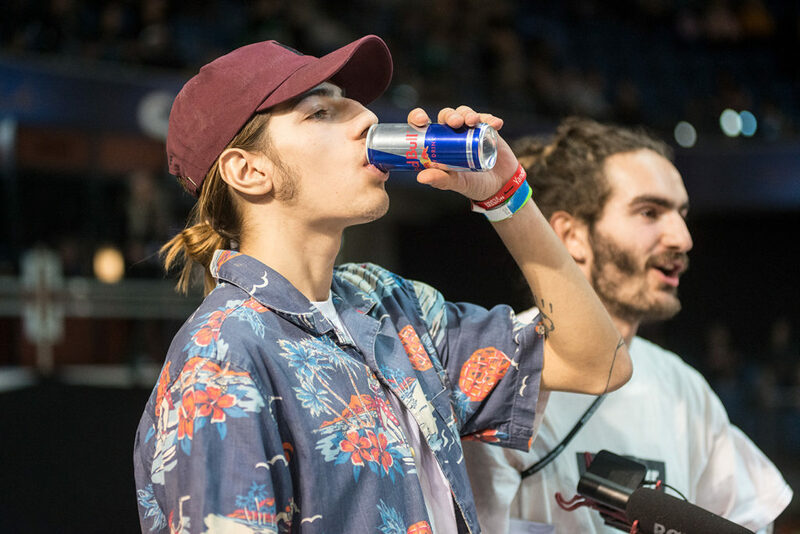 He also did really good on the street. 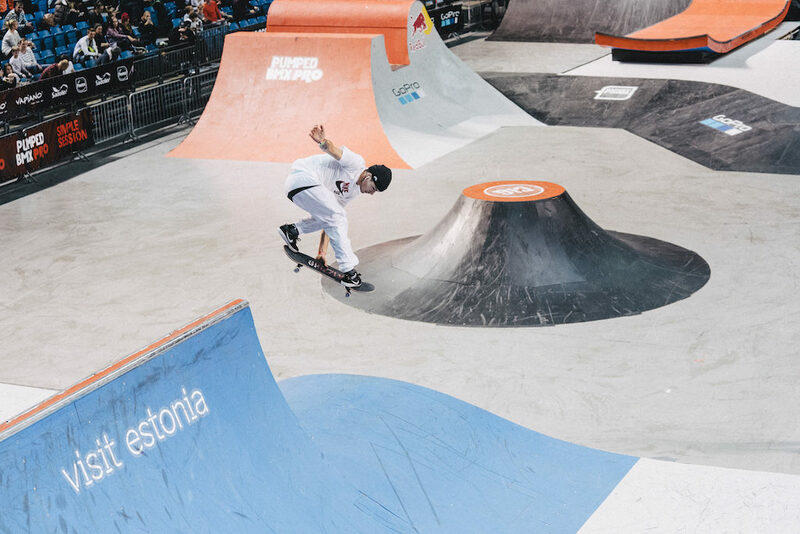 He was using the whole park with good speed and big transfers. 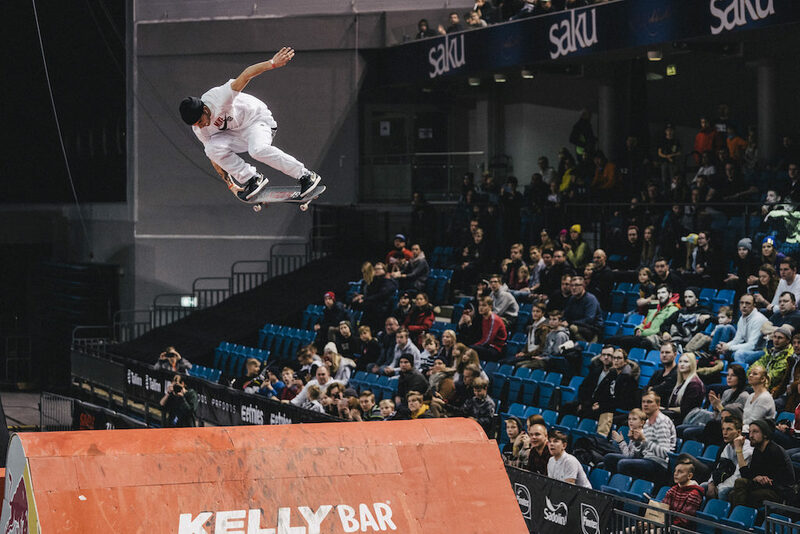 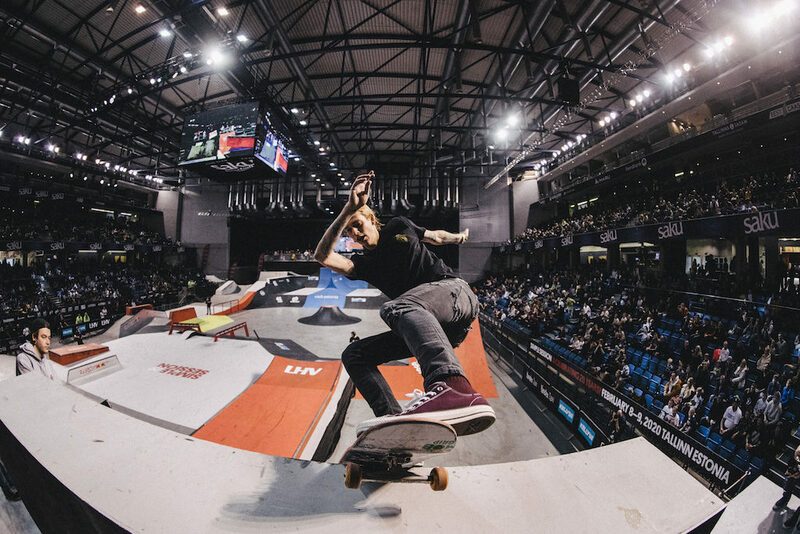 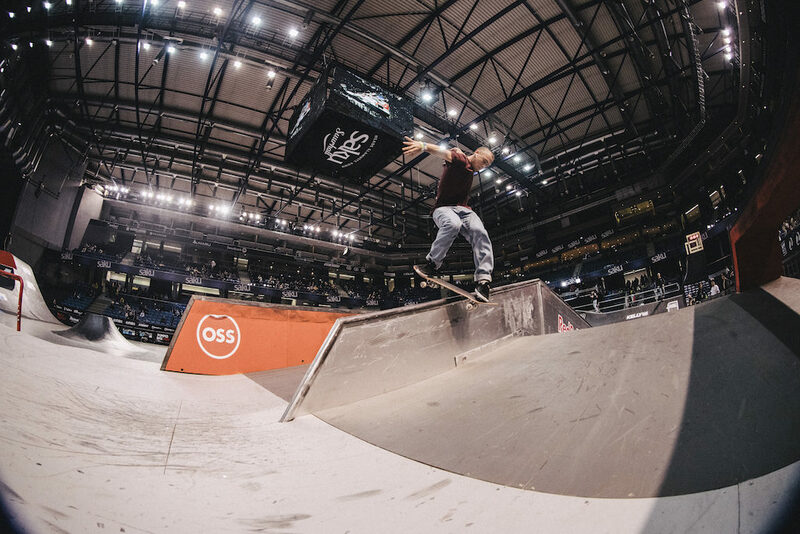 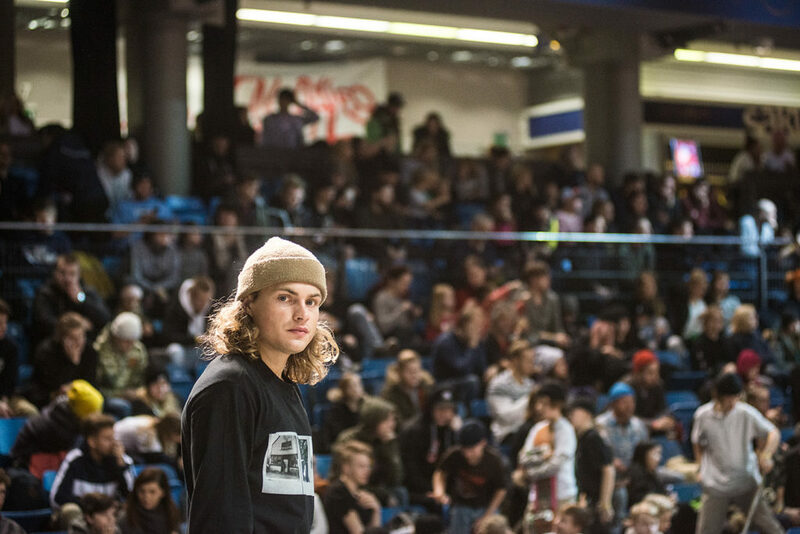 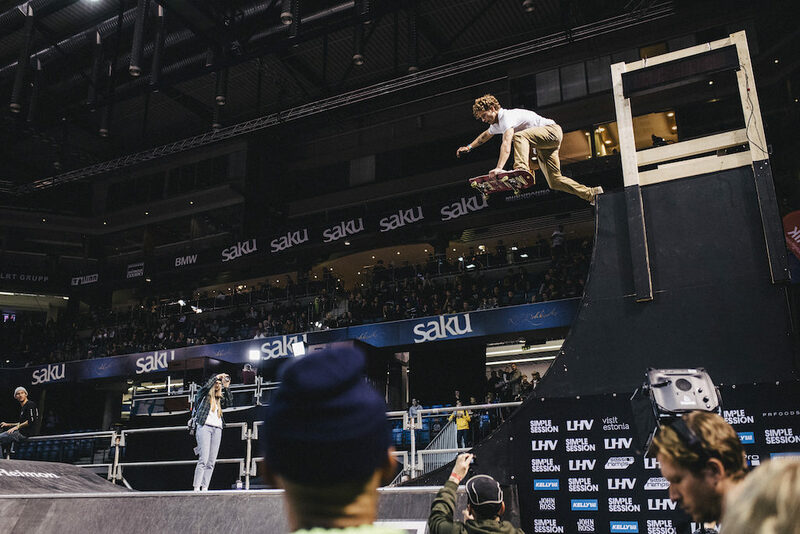 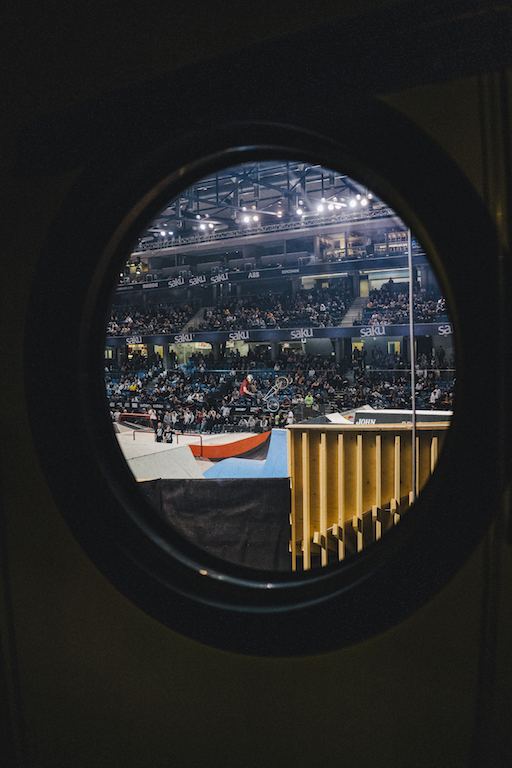 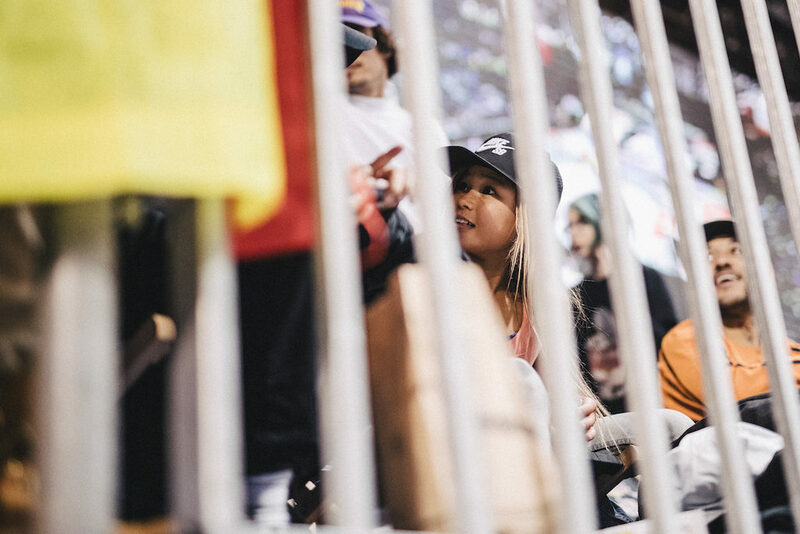 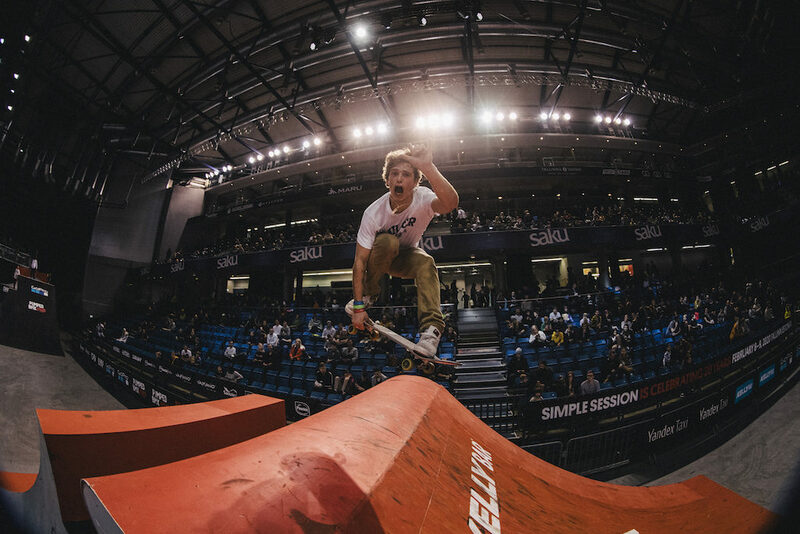 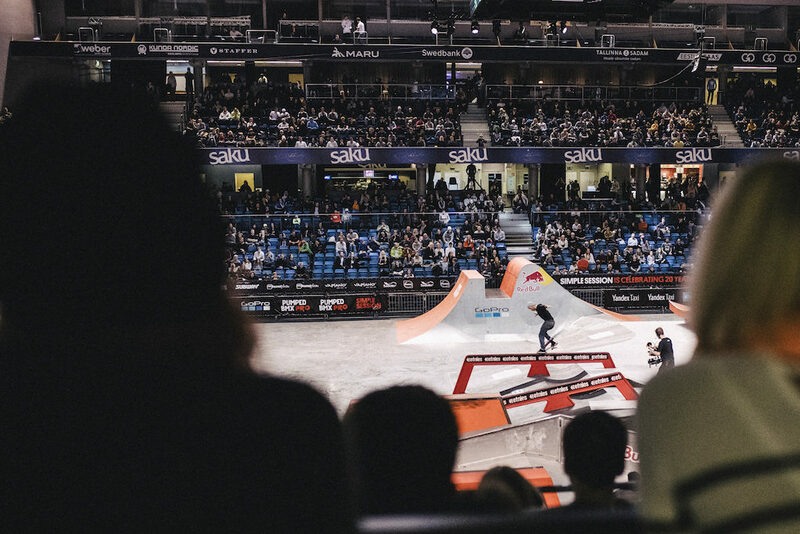 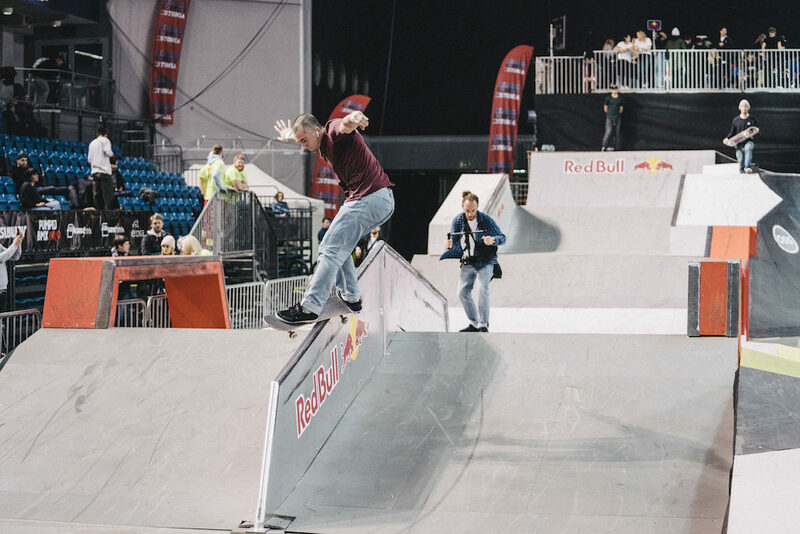 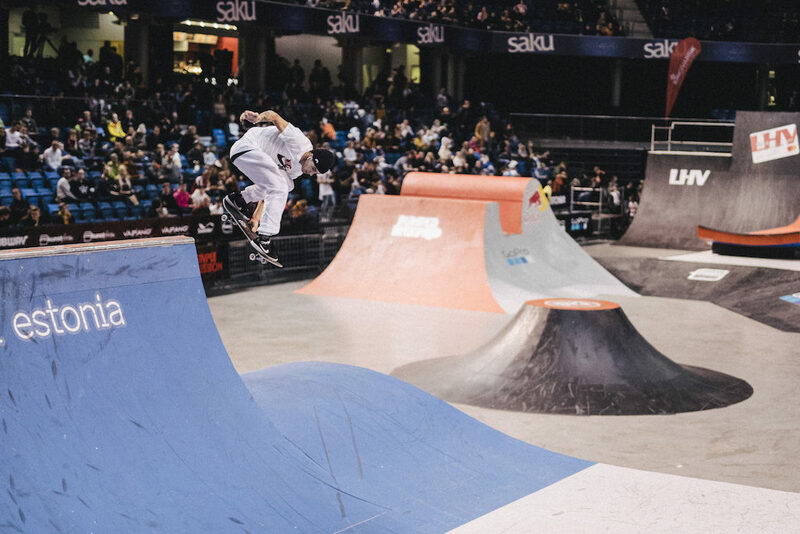 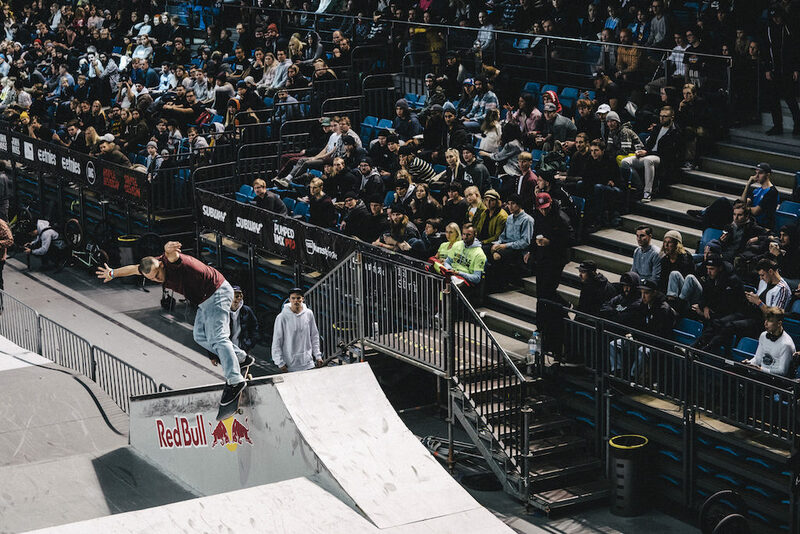 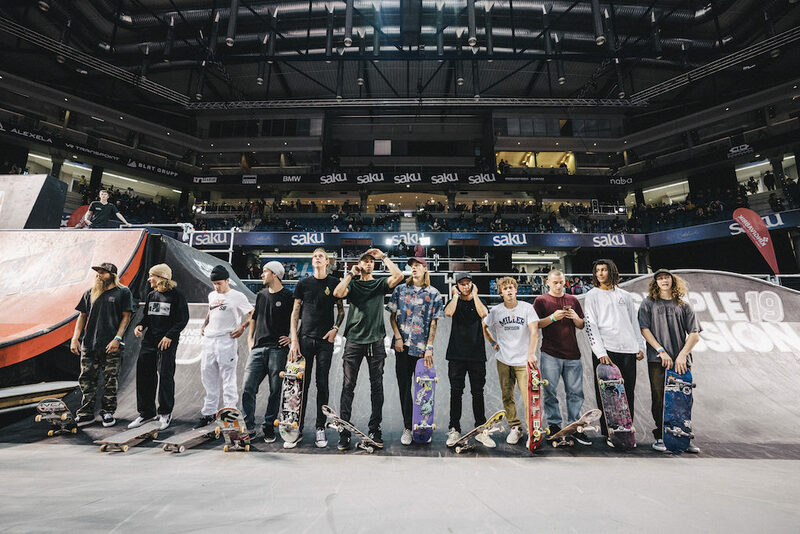 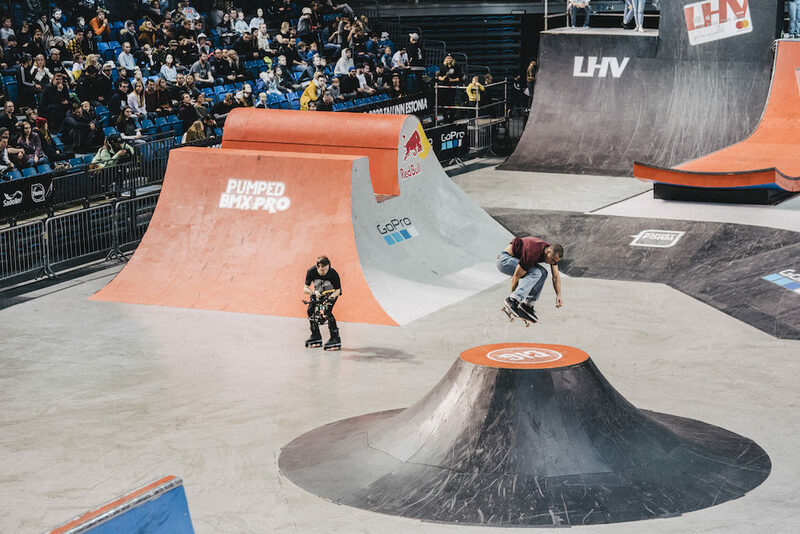 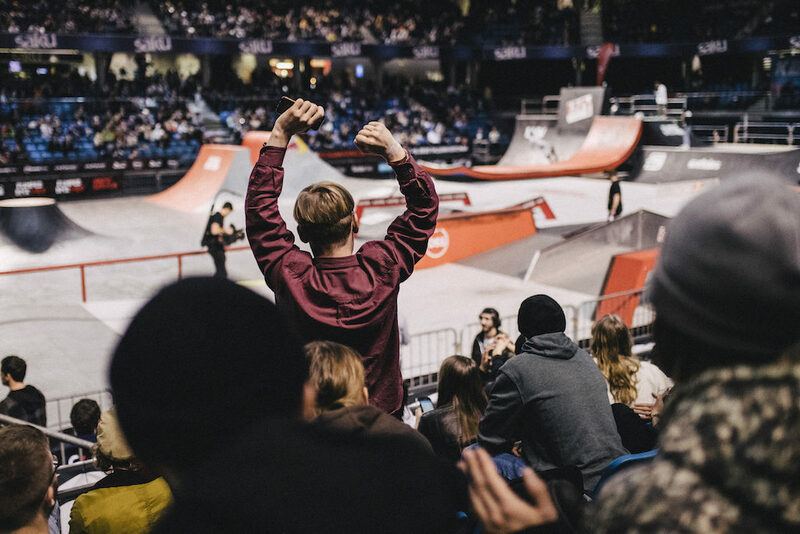 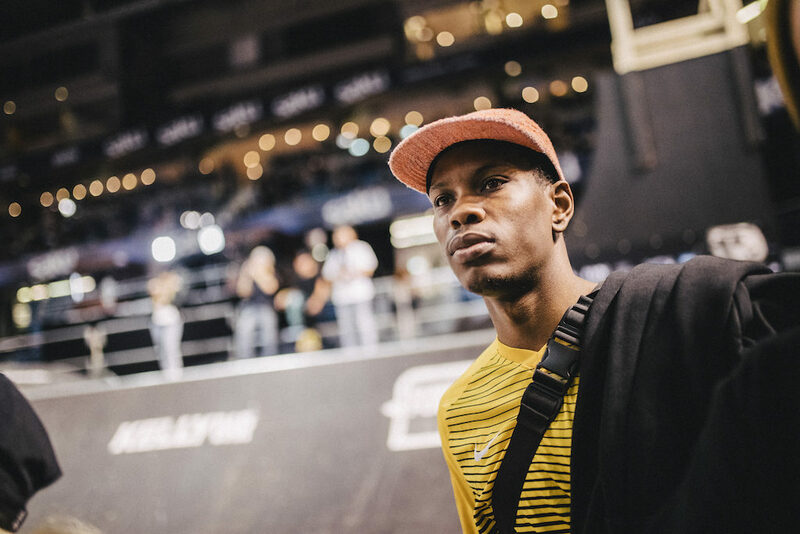 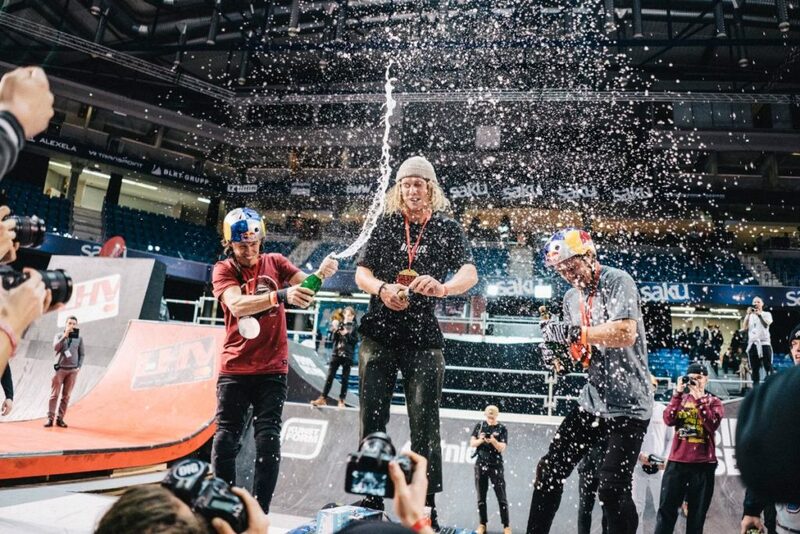 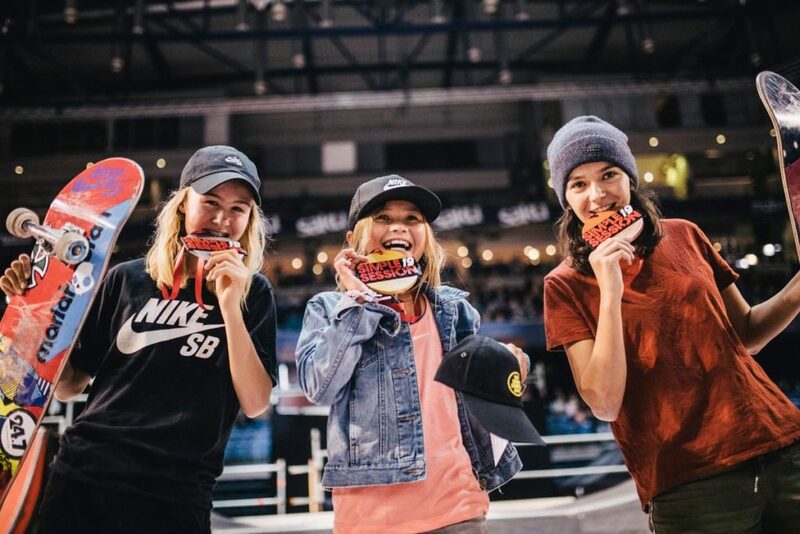 He was clearly ahead of everyone: the judges felt he was the winner after his first run and the second was just a victory lap, just having fun.”The Simple Session also kicked off the World Cup Skateboarding 2019 season. 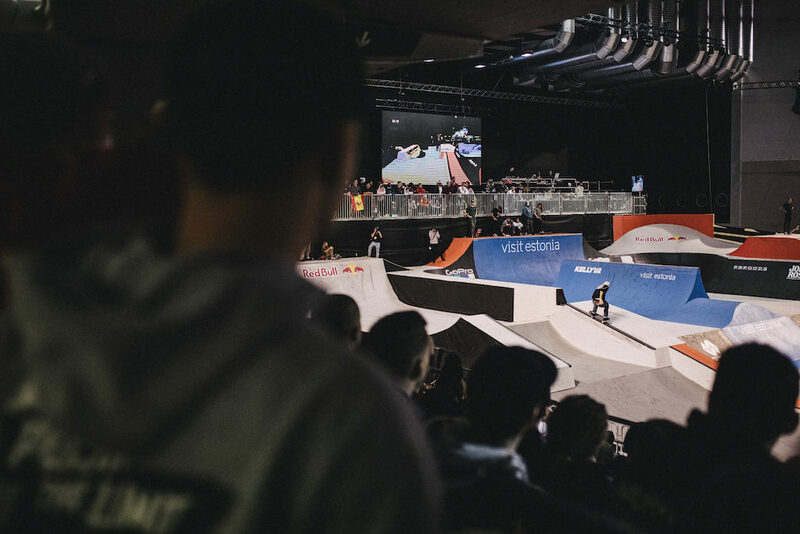 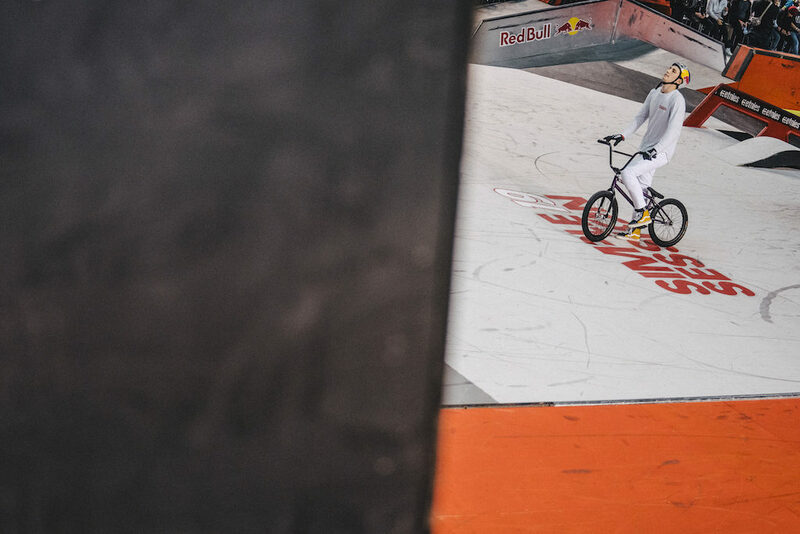 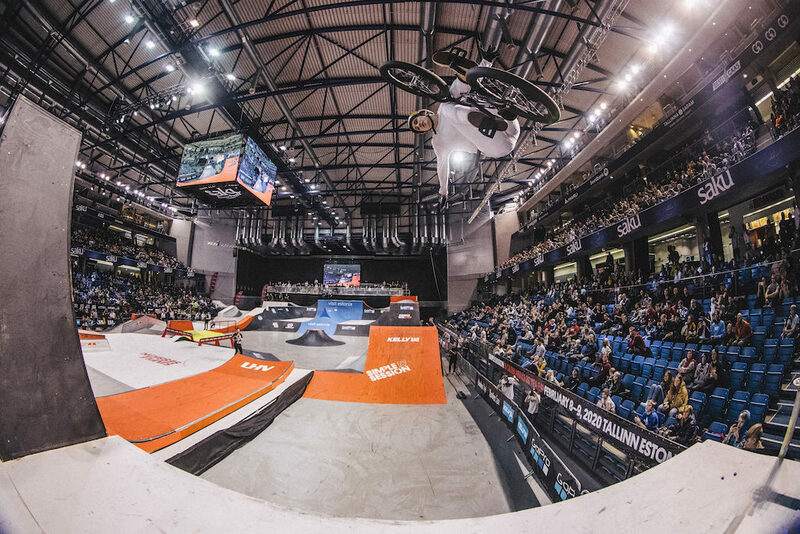 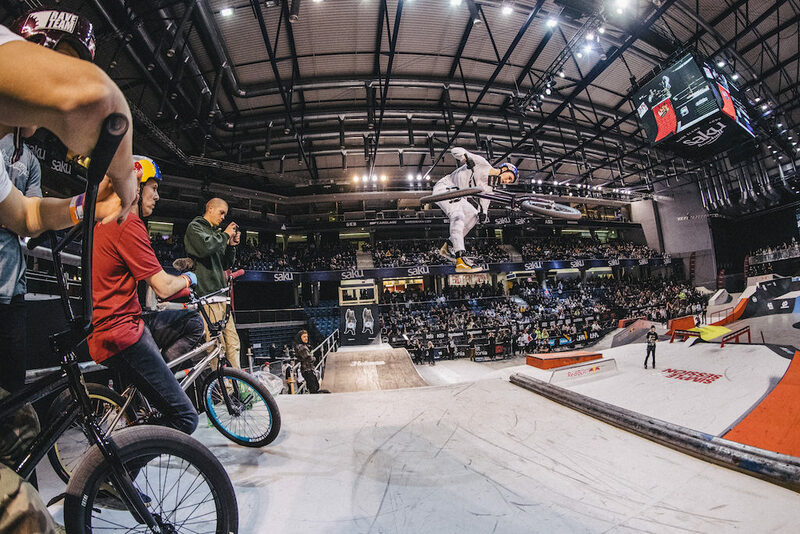 In BMX Street, Felix Prangenberg GER (Wethepeople) finished with the highest score,Matt Ray USA (Subrosa) was second, and Justin Spriet USA (Fit Bike Co) was third. 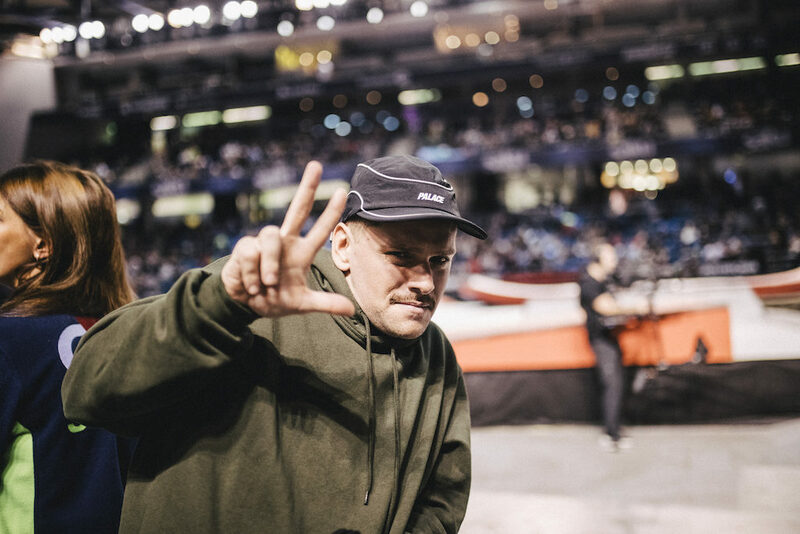 Johnny Raekes USA (Fiend BMX) pulled the BMX Street Best Trick, which was a tooth hanger over pegs hard 180 crankflip. 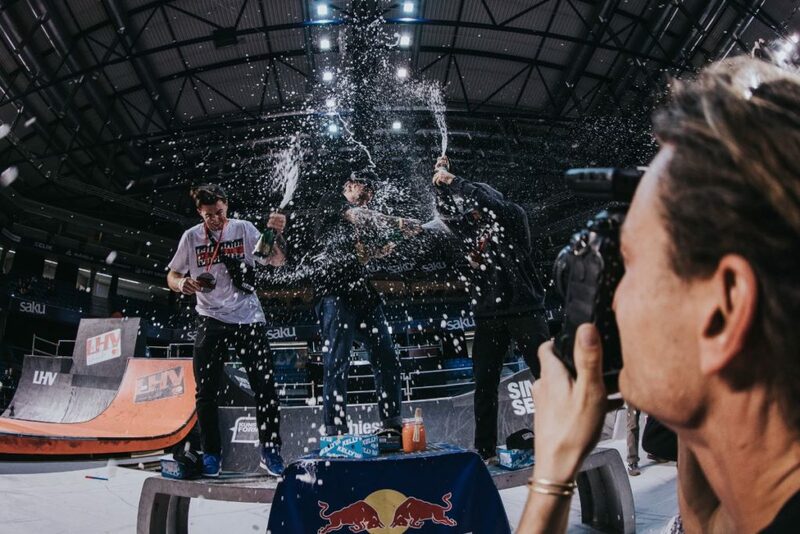 Boyd Hilder AUS (Federal) won the BMX Park contest, second was Daniel Dhers VEN (Red Bull). 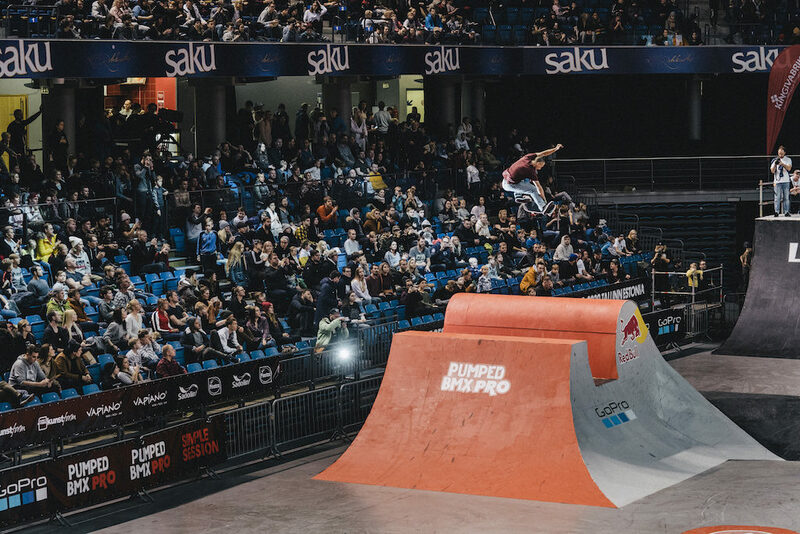 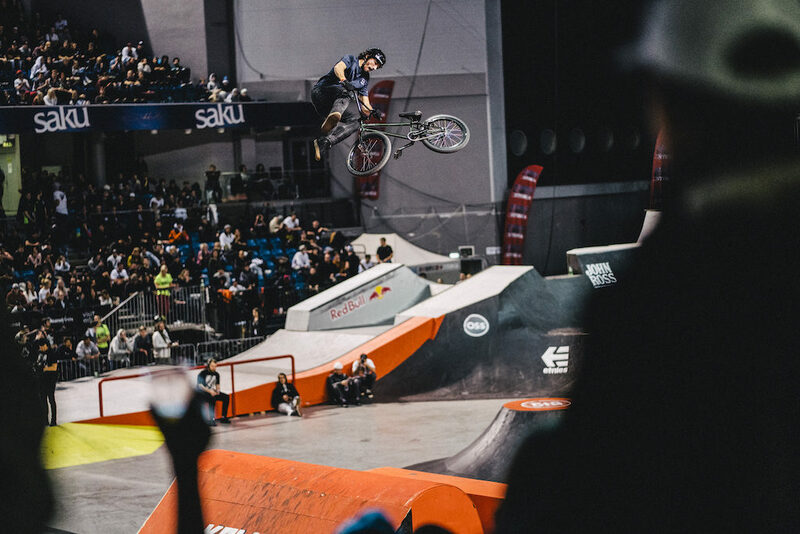 Kenneth Tencio CRI (Red Bull) came third and also won the Pumped BMX Pro BMX Park Best Trick contest with his flair drop-in transfer. 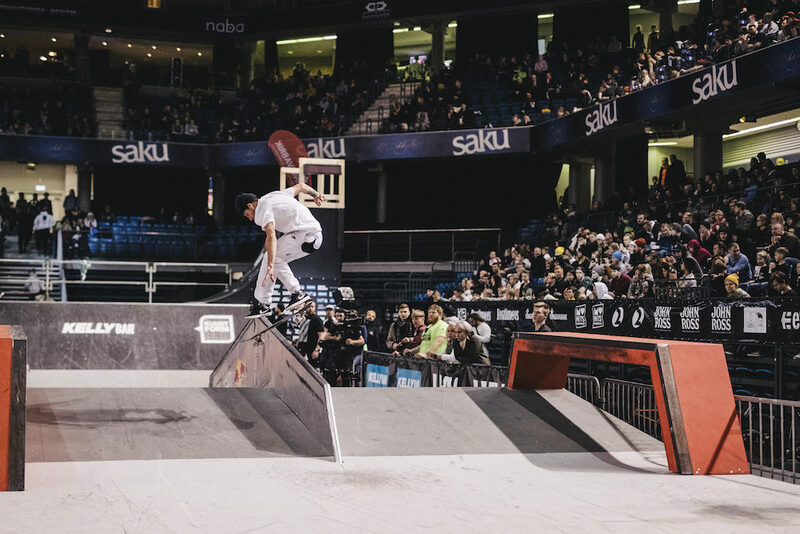 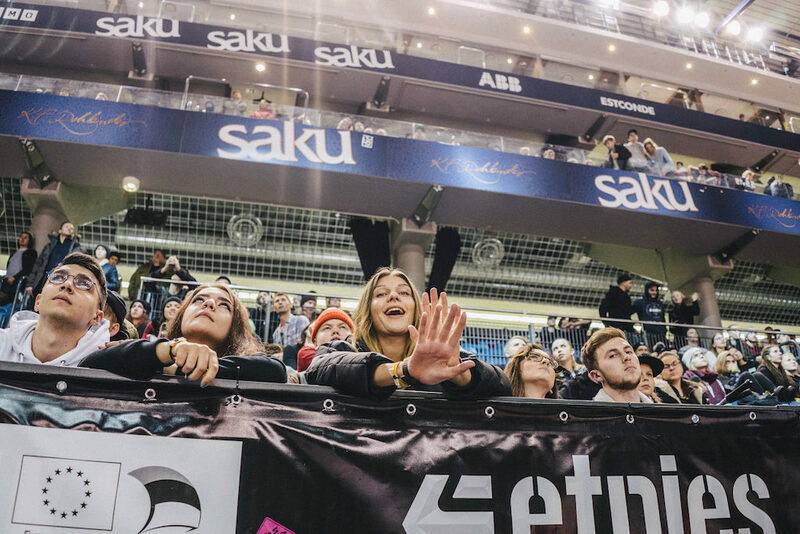 BMX rider Alex Hiam AUS (Colony BMX) won the Visit Estonia “Epic Estonia Trip” best trick prize for pulling off a tailwhip to footjam tailwhip over fakie on the Visit Estonia spine. 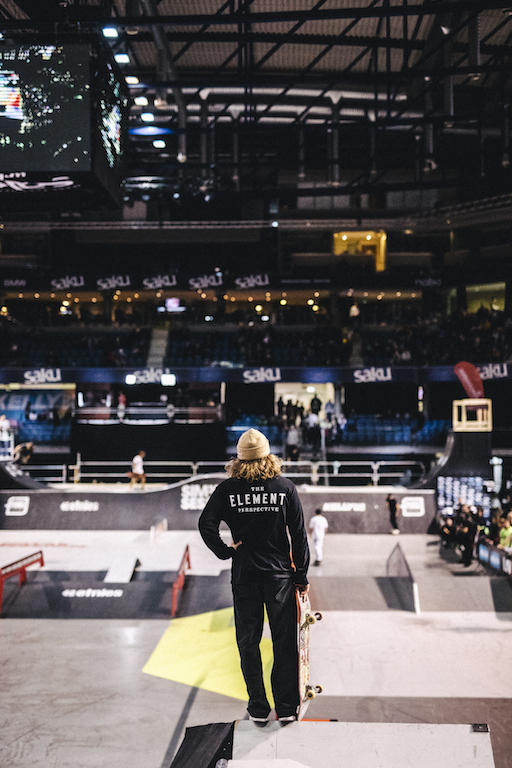 Judging the BMX competitions were Bart de Jong NED (head judge), Markus Wilke GER,Brian Kachinsky USA, Dave Hank GBR, Toms Silins LVA and Achim Kujawski GER.